A chemical peel is a body skin treatment that is used to improve the texture of your facial skin by using a chemical solution that is applied to the skin and causes the dead skin to shed and then is able to be pulled off. It is used to treat a variety of skin conditions such as fine lines, small scars, dark spots, acne and other skin imperfections which can be caused by aging, hormones or the sun. Chemical peel treatments are controlled treatments by a healthcare professional and can be applied to your face, neck or chest. There are three levels or grades of chemical peels that can be used, and which one is used depends on your skin color, skin texture, the level of your skin imperfections and your skins elasticity. 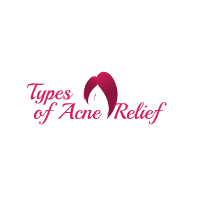 The grades from lowest to highest are; Alpha Hydroxy Acid (AHA) peels, Trichloroacetic Acid (TCA) peels, and Carbolic Acid or Phenol peels. AHA’s are acids that are derived from fruit and milk sugars. The most common AHA’s used are glycolic acid and lactic acid because of their special components that allow it to penetrate the skin. The AHA chemical peel is the lowest grade of peels because they work with the skin on the surface level. These peels are also referred to as the “lunchtime peels” because of the little amount of time it takes for this treatment. AHA peels provide a gentle exfoliation and skin rejuvenation that retextures, as well as smoothen out and brighten the skin. Also rough and dry skin patches are resurfaced, while pigmentation spots can be reduced, as well as improve healthy cell turnover so the damaged skin cells are shed from the skin. The AHA peel is a good way to treat mild acne because the high levels of glycolic acid strip away the keratin, oil and dirt that will clog the pores and will lead to outbreaks. AHA peels can also be combined with bleaching agents that help to lessen the effects of dark spots or discoloration due to sun damage, hormonal changes and aging. The process itself takes about ten minutes to perform and afterwards, your skin looks as if you just got a mild sunburn. The skin will be red and dry and during the healing process, your skin will peel. The entire healing process takes about five days to complete, but the procedure allows you to go on with your routine life without any downtime. TCA chemical peels are the medium grade peels that are effective in evening out skin tone and getting rid of deeper imperfections in the skin by peeling off the outer layers of the skin. This is the ideal chemical peel for getting rid of finer wrinkles blemishes and areas of the skin that are having pigment problems. Unlike AHA, TCA chemical peels can be used by people who have darker skin than most. It also deals with milder acne. The TCA peel treatment takes a little longer to perform, it takes fifteen minutes. For those who do have darker skin, your dermatologist may see fit to have you receive two or more treatments to be spaced out over a few months. After the procedure has been completed, you can expect your skin to experience mild swelling, redness, crusting or scabbing, and peeling. Depending on how fast your face heals, your downtime can range on an average of five to ten days. Phenol peels are the deepest grade of chemical peels and penetrate the skin deeper than the AHA and TCA chemical peels ever could. The phenol peels are designed to treat more serious conditions such as blotchiness, coarse wrinkles, acne scars, sun damaged skin and even pre-cancerous growths. Since the phenol peels are intense, they can only be used on the face. If used on the neck or any other parts of the body, it can cause scarring. Because of this, the procedure needs to be performed by a physician and requires general anesthesia and a sterile treatment. After the procedure, you will experience heavy swelling and your eyes may even be swollen shut. You most likely will also need bandages that wouldn’t be able to be removed for about two days. The physician will also put you on a temporary pain medication, and for women, you will not be able to wear any sort of makeup for about two weeks. The most important thing to know and remember is that you will need to stay out of the sun at all times for at least three weeks because your skin is susceptible to sun damage. Even though there are varying strengths of chemical peels, the ones that are available for purchase over-the-counter at your local pharmacy are primarily superficial peels which means it affects only the top layer of skin. These at-home treatments are best for removing mild acne scarring and red marks left behind by blemishes. By removing the top layer of the skin, healthy skin can take its place. Salicylic acid is a beta hydroxy acid that is a naturally occurring plant hormone. It is an effective treatment against acne and acne scars. As a chemical peel, the use of salicylic acid help dramatically reduce other skin conditions such as blackheads, whiteheads, aging, wrinkles, calluses and psoriasis. The acid peel works by removing excess facial oil and bacteria from deep within the face pores. To use, a thin even layer of the concentrated salicylic acid is applied to the face, after it has been thoroughly cleansed. The benefits of using this treatment should be noticeable right after the first use, however, depending on how severe the skin condition is, you will have to perform more treatments with the chemical peel. There are general side effects that may occur including flaking skin, heightened sensitivity, inflammation, itching, burning and general swelling. Due to the heightened sensitivity, it is recommended that you use a higher SPF sunscreen. Lactic acid is also an alpha hydroxy acid, which is derived from milk and makes a mild chemical peel which requires almost little to no downtime for healing. Lactic acid is a natural human metabolite which means there is a less chance of an allergic reaction and also makes this a good starting point when using chemical peels. The lactic acid does double time by helping your skin in multiple ways including exfoliating the skin, deep cleaning pores, fading dark marks, improving hyperpigmentation, smoothing out the skin tone, brightening and lightening skin, improving wrinkles and promoting the production of collagen. After the treatment, you will have post-peel pink skin anywhere from a few hours to a few days. As long as you wear sunscreen and avoid scrubbing your skin until it heals, you should have no lasting side effects. Mandelic acid is another alpha hydroxy acid. The Mandelic acid molecules are larger than the other acids which means that it doesn’t penetrate as deep as the other acids do but is still an effective treatment for damaged skin. The Mandelic acid chemical peel has antibacterial qualities which makes it good for people with acne-prone skin. It is one of the gentler chemical peels so it is safe to use for people with darker skin tones. The Mandelic acid peel can improve your skin faster than using other daily AHA treatments. It is more helpful in treating non-cystic acne, particularly, blackheads that may not respond to other treatments. This treatment is also ideal for those with sensitive skin. If you use the Mandelic acid treatment mainly for your acne treatment, then you might experience some post-peel purging. What this means is that as the acid exfoliates away the skin’s surface, it will bring the clogs that were underneath the skin closer to the top which can result in active pimples. There are other superficial chemical peel components that are becoming readily available such as Azelaic acid, retinol, kojic acid, arginine and pyruvic acid. All of these acids seems to have the same qualities but may be different on a few of the treatments procedures and side effects if any. Trichloroacetic acid is another ingredient that seems to becoming more readily available for at home uses. It is still a deeper, medium level chemical peel so talking to your dermatologist about deciding whether or not you should use it among the other chemical peels should always be a high priority. By talking to them, you can explore all the possible options and chemical peels that the medical field has to offer. It is also important to understand the side effects so you can be prepared to combat whatever may happen in the worst case scenario. Although there is no miracle cure for the different skin conditions, new and improved ways are being developed to help make the healing process go a lot smoother.